As social media usage continues to grow at a steady rate it’s essential that entrepreneurs and marketers implement a social media marketing strategy for their business. A key part of any successful strategy is understanding the stats and trends that can affect the outcome of your efforts. To help, the guys at Red Website Design have just created this infographic with a bunch of helpful facts and figures. You should all know the power of Facebook: The infographic shows that 22% of the world’s population use it, and 76% of those users logged in every day in 2016. So it’s fairly obvious to say that a presence on Facebook is a must. What you may not have been aware of is the power of the less popular social networks. On any given day Snapchat reaches 41% of 18-34 year olds in the US. If that’s your target demographic and you aren’t using Snapchat then your business is missing out. It also shows that 81% of millennials check Twitter at least once a day. Twitter is a great source of referral traffic, are you taking advantage? 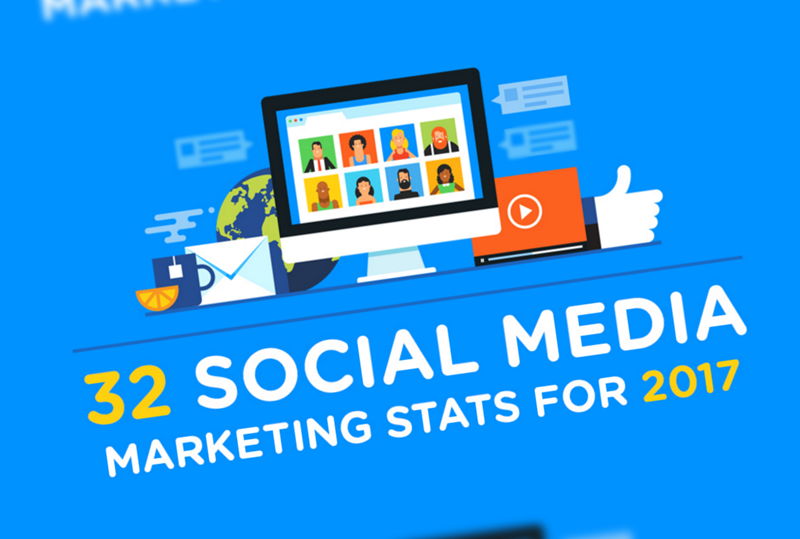 Perhaps the standout figure from the infographic is that 80% of time spent on social media happens on a mobile device. Couple this with the fact Google has recently announced a shift to a mobile first index, this highlights the fact that all businesses need to think “mobile-first” across their marketing mix.